Boston-based artist Matthew Mazzotta creates participatory public interventions that aim to criticize, raise awareness, and bring a sense of openness to the places we live. I imagine bringing a smile to most people’s faces might be a goal as well. Mazzotta’s work focuses on drawing people in by curiosity and finding themselves as part of something unrehearsed. Reacting and interacting are key to his work as are community building, ecology and public involvement. 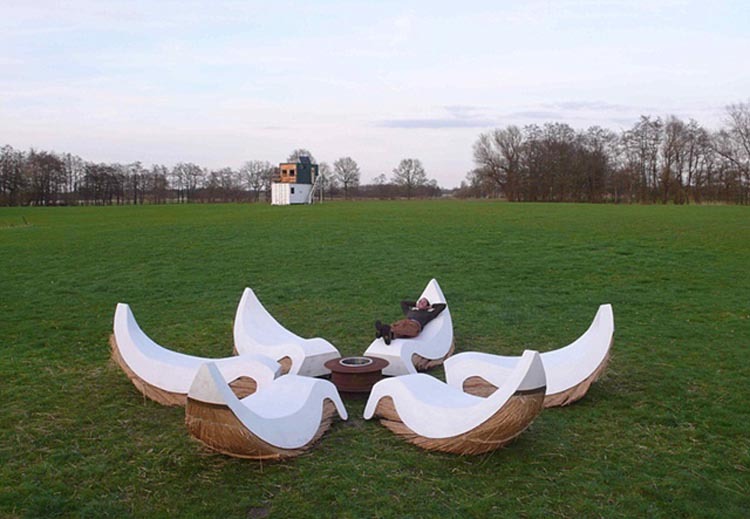 The top installation, titled Steeped in Exploration, was created in The Netherlands as a teahouse without tea. The physical structure of Steeped in Exploration, made from all local materials, becomes a site of communal tea drinking. The tea served at the teahouse is not from the grocery store or peoples’ gardens, it is foraged by the people enjoying the tea on public outing that take us throughout the area based on knowledge and experiences of the people at the outing. Even the heat to boil the water for the tea comes from a local source, by transforming cow manure from local farms into energy (methane) through a methane digester. In the following piece titled Looking for a Landscape, Mazzotta converted a standard city utility box into a portable viewing station. The structure is on retractable wheels, and the doors were hinged at the bottom opening downwards creating a cantilevered platform on each side of the box, complete with velvet cushions and mounted binoculars to take in the everyday urban landscapes. Lastly, the video below goes through the function of Mazzotta’s Insertion Module, designed specifically as part of the negative space in architecture, camouflaged within the façade of a building, but when taken out opens up into a Tea House. You might want to check out his Open House Project and Park Spark Project too. 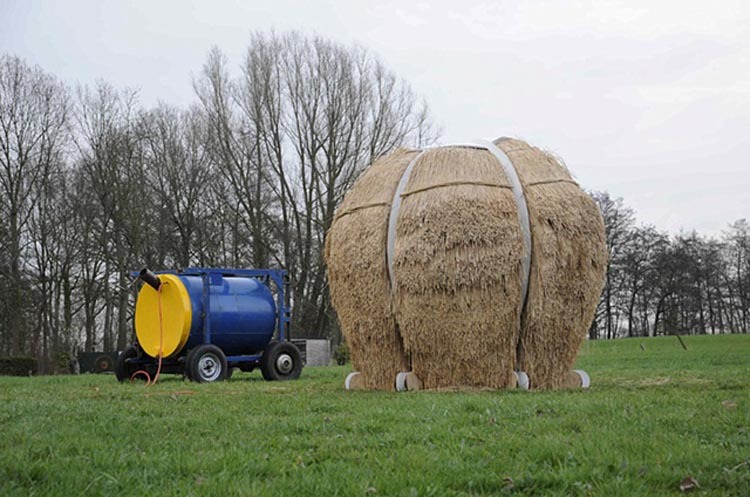 This entry was posted in Architecture, Art, Fun, Interaction Design, Street Art, Stuff We Like. Bookmark the permalink.